Good news if you're planning a holiday in Europe this summer. The chances are that mobile roaming costs will be cheaper by then. EU negotiators have reached a preliminary deal to lower the price of using your mobile phone across EU states. Representatives from the 27 EU member states, the European Parliament, and the European Commission finally agreed on a compromise. Tough negotiations were carried out into the evening yesterday. The deal states that a price cap in the first year will be set at 49 euro cents per minute for making mobile phone calls abroad. The following year, the price will fall to 46 euro cents, and again to 43 euro cents in the third year. These prices exclude VAT. Receiving a call while abroad will cost 24 euro cents in the first year. It'll then fall to 22 euro cents in the second year, and to 19 euro cents in the third year. European Parliament members had originally called for a cap at 40 euro cents per minute for outgoing calls, and 15 euro cents for incoming calls. The member states had suggested 60 and 30 euro cents per minute respectively. "After difficult negotiations, we have come up with a viable compromise on the roaming regulation. It's a very consumer-friendly tariff," said Austrian MEP Paul Ruebig, co-author of the draft law. He added that he knew that "not everybody will be happy with the solution that we have found". The compromise deal will come to an end after three years in effect, forcing the legislation to be reviewed, Ruebig explained. Once in effect, operators have one month to offer customers the new pricing plan. Customers will have two months to choose whether they want to go with the new roaming charge plan or stick with their existing service contracts. 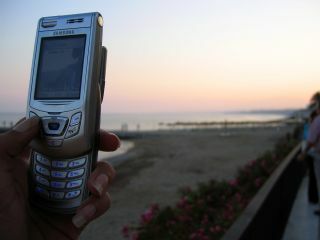 Some 150 million mobile phone customers in the EU use roaming to make calls outside their home nation. Mobile companies are making around 10 billion euros every year from this, according to EU figures. The compromise deal could come into effect by mid July - just in time for the summer holidays. However it must first be approved by MEPs when they meet in Strasbourg next week, and then by the 27 EU telecoms ministers when they gather in Brussels on 7 June.